Hi there, Two double bedrooms are available in our flat from the 4th and 14th of March respectively. They are super sunny (south orientated) and both on the second floor of the flat. Bedroom 1: £750 per month all included. Comes with a double bed desk, chair and wardrobes. Wood laminated floors. Available the 04/04/19. Bedroom 2: £650 per month all included. Comes with a double bed, desk, chair and many storage space. Wood laminated floors. Available the 14/04/19. Rent includes : Wi-Fi, Gas and Electricity, Water and council tax and internet. Amenities include: fully equipped kitchen, separate bathroom and WC, washing machine. The flat has three big storage spaces : convenient even for bicycles! Central heating and double-glazed windows. Tesco, co-op, Sainsbury and other convenience shops close by. 5 min walking distance from Brick Lane, many restaurants, street art and vintage clothing. 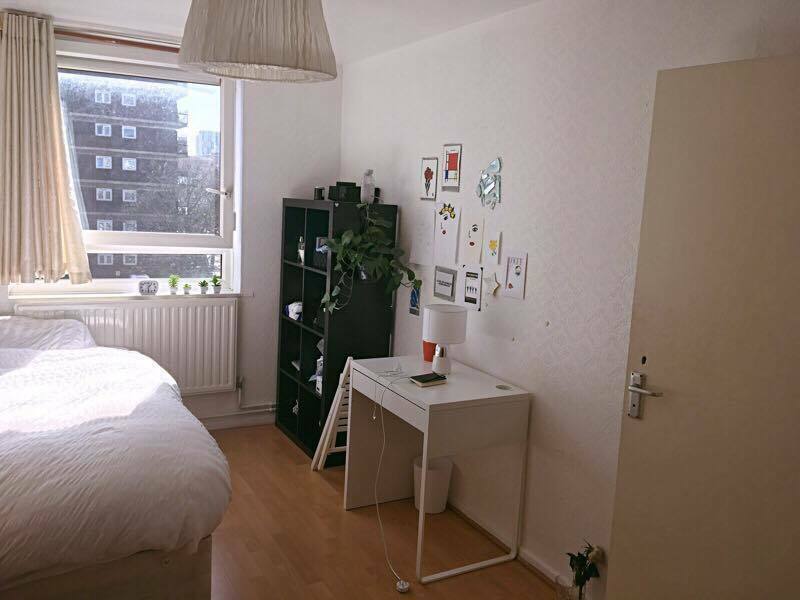 15 min walk from Spitalfields market 4 min walk from Royal London Hospital. Lovely Columbia road flower market is also a 15 minutes walk away. Closest tube stations: Whitechapel, Bethnal Green overground station and Aldgate East. Buses nearby: D3, 25, 205, 254, N25, N205, N253. If interested please message us for additional information or arranging a viewing!